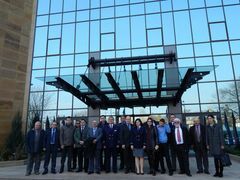 The second Workshop on exchange of best practices in maritime security was organised within the framework of the European Union (EU) funded TRACECA Maritime Safety II Project. This three-day workshop was organised in Bucharest, Romania on 11-13 March, 2015. The subject for this second Workshop was: National Maritime Security Law and associated decrees for the State organisation in conformity with the SOLAS Convention and the ISPS Code, and in approximation with EU Regulation 725/2004 and EU Directive 65/2005. MSC 94/4 was also been presented and debated. The representatives of the beneficiaries have delivered their presentations on the situation in their countries related to the National Maritime Security regulatory framework as well as the practical security situation of the ports and port facilities. 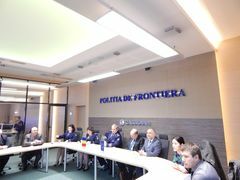 A visit to the General Inspectorate of Border Police was being organised with the support of the TRACECA National Secretariat in Romania. During the visit, the participants were familirised with organisation and activities of the Inspectorate. The workshop was conducted by Capt.Bertrand Appery, the project expert.